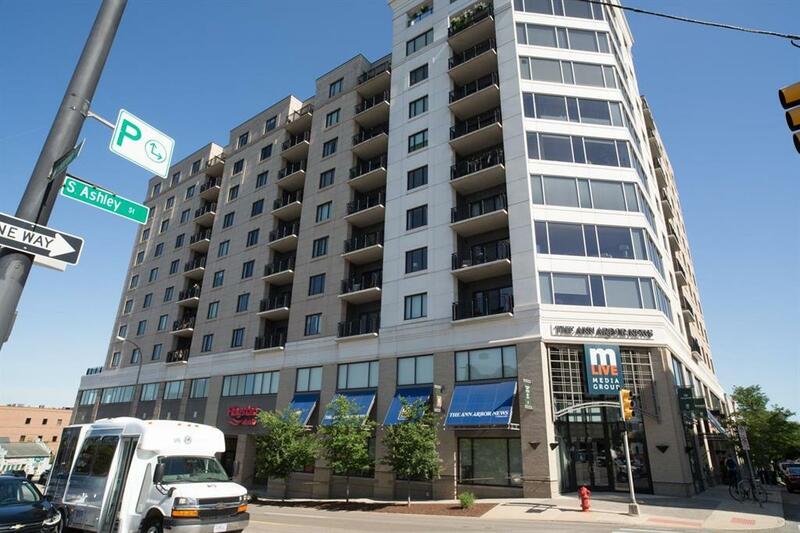 Stellar 2 bedroom, 2 full bath condo in secure downtown Ann Arbor high rise - 111 N. Ashley. 5th floor north facing condo features two full bedroom-bathroom suites, large living room and flex space perfect for office, storage or second siting area. Located in the heart of the action in downtown Ann Arbor. Walk to dozens of restaurants and bars. Easy to U of M and U of M medical campus. 1 parking space in heated secure underground garage. You will love the improvements - new flooring throughout and professionally painted. This is your best option for a two bedroom luxury condo in downtown Ann Arbor. Association fee includes everything except electric and cable. IDX provided courtesy of Realcomp II Ltd., via Keller Williams Saline and Ann Arbor Area BOR MLS, ©2019 Realcomp II Ltd. Shareholders.